The City of Palm Coast Florida will proudly present the City's second annual Seafood Festival on Saturday & Sunday, November 5 & 6, 2011. Flagler County's Seafood Festival is to be held in Palm Coast Central Park in Town Center Saturday from noon to 9PM and Sunday, November 6, 2011 from noon to 5PM. 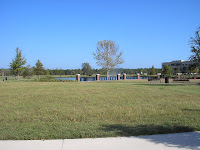 Central Park at Town Center is located one half mile north of Flagler Palm Coast High School on Bulldog Drive, off State Road 100. Central Park is at the corner of Bulldog Drive and Central Ave in Palm Coast Florida. Admission is only $3 and children under 12 are free, $1 tickets will be available to purchase food and carnival attractions. The Palm Coast Seafood Festival will have plenty of free parking and something for everyone. Last year's event was a huge success and this year it will be bigger and better. Local restaurants will be offering some of their seafood specialties while you enjoy continuous live music including a Saturday Fabulous Jimmy Buffet Tribute Band Concert followed by a fabulous fireworks display. For the youngsters there will be a midway full of great kids Carnival rides. Hell's Kitchen Winner Danny Veltri will have cooking demonstrations. Enjoy the K9 Frisbee dog exhibition shows. There will also be an Antique car show, a pirate ship and an art show. Take exit 284 off of I-95 and head west. For additional information about the Palm Coast Seafood Festival please visit http://palmcoastgov.com/Resident/SeafoodFest/ or contact Lisa Gardner, the City of Palm Coast Events Coordinator at 386-986-2341 or email at lgardner@ci.palm-coast.fl.us.